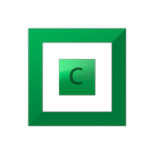 My Rackmount Server - Hardware - Covecube Inc.
My server was kind of piecemeal constructed. 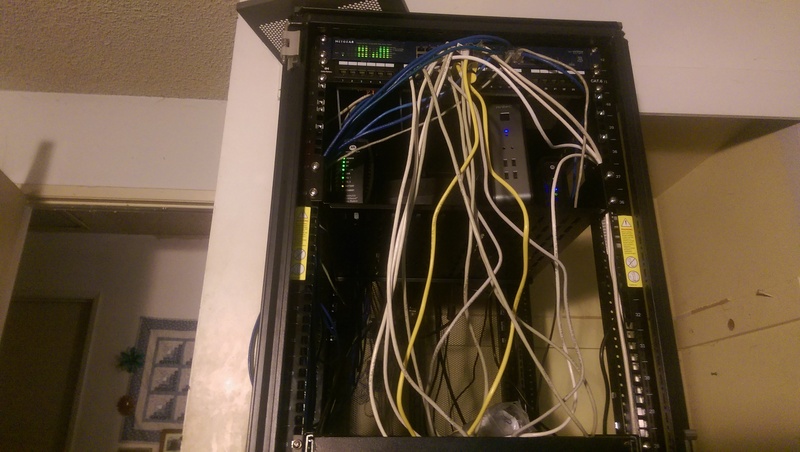 24 port, Gigabit, Managed Switch (one port is burned out already, but it was used). Dell 17" keyboard and monitor tray (used, damaged, propped up). Here is my network hardware. Not a great image, but that's the 24 port, managed switch, a punchout block, waaay too long cables, cable modem and Sophos UTM box. Misc drawers and unused spares. 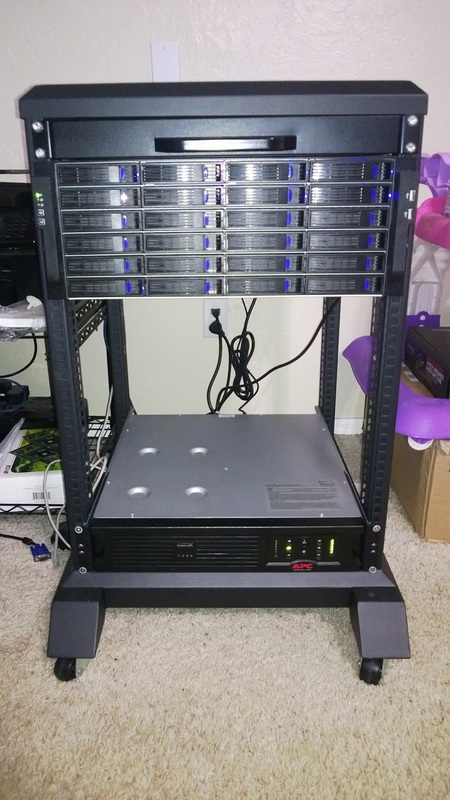 And my servers. 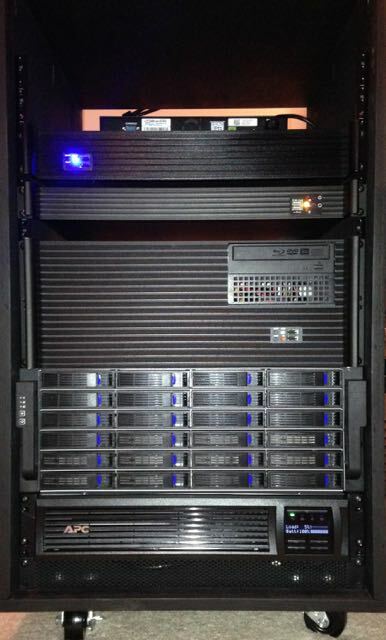 HyperV system in the 1U, and my storage server in the 4U. And the Cyberpower UPS at the bottom. What you don't see is the NVR box, as it's been having issues, and I've been troubleshooting those issues. I have a Norco 4224v1 4U case. 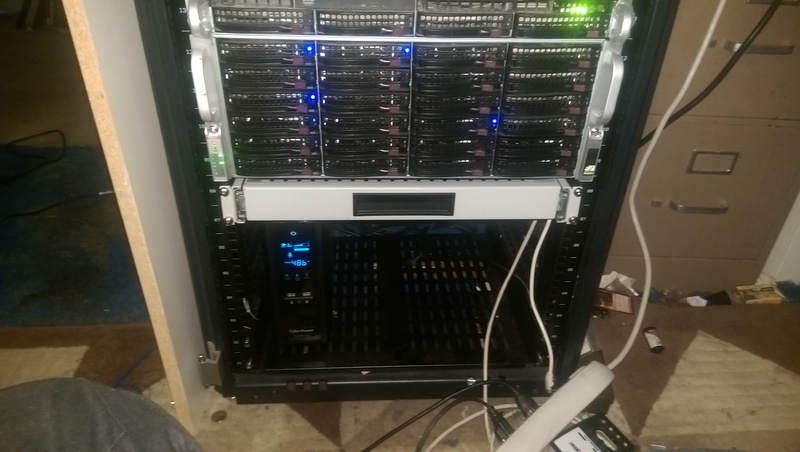 I have my entire pool duplicated and I'm currently using about 13.5TB, I just add drives as I need more storage. I've started buying WD Reds instead of greens and I used WDIdle on the green drives to change the head parking from 8 seconds to 5 minutes. NOTE: Virtualization does not put a significant overhead in performance but allows smooth upgrades between platforms - Migrated from WHS 2011 to WSE 2012 and only had to reassign disks from one virtual machine to another. Voilà! That APC box looks familiar (I think). I have a APC UPS that I've hacked to use 4x deep cycle marine batteries to provide 3 to 4 hours backup for my entire office (instead of the built in Li-Ion which would only last 15 min.). I'm running ESXi 5.1 u1 on a GA-990FXA-UD3 motherboard with a AMD FX-8150 processor. I'm unable to enable IO passthough in ESXi. All it says is that the host does not support passthough configuration. According to other posts I've seen the GA-990FXA-UD3 does support IOMMU (what ever that is) that is required for pass though. Any thoughts? 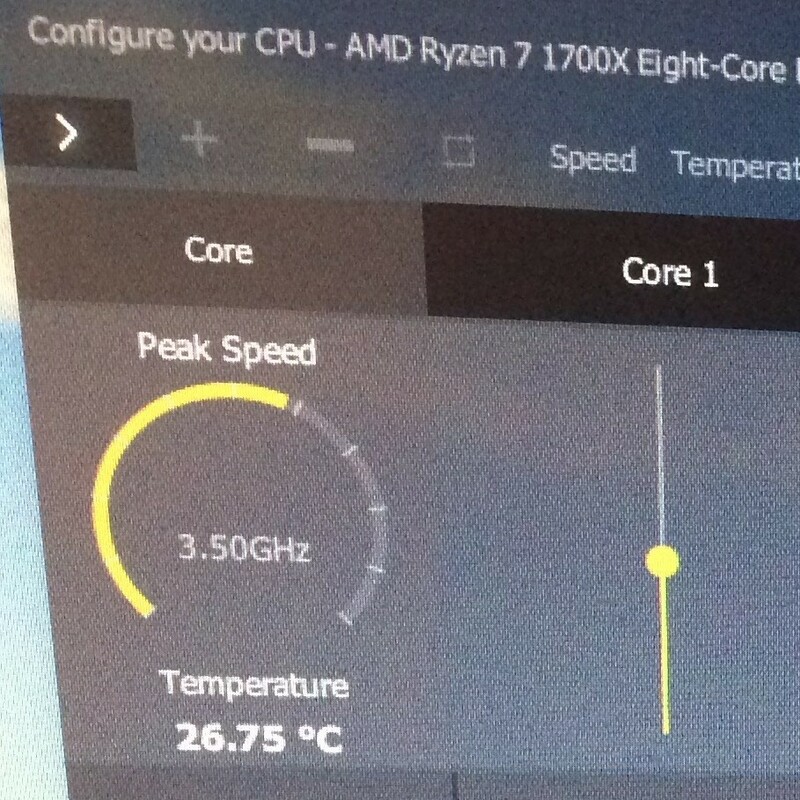 I think that line of AMD processors is missing a feature to enable the IO passthrough. Because I have a 8120 and I'm unable to enable RemoteFX for HyperV, which is related to that IO passthrough, I believe. (GPU passthrough for RemoteFX, as well as other IO stuff). 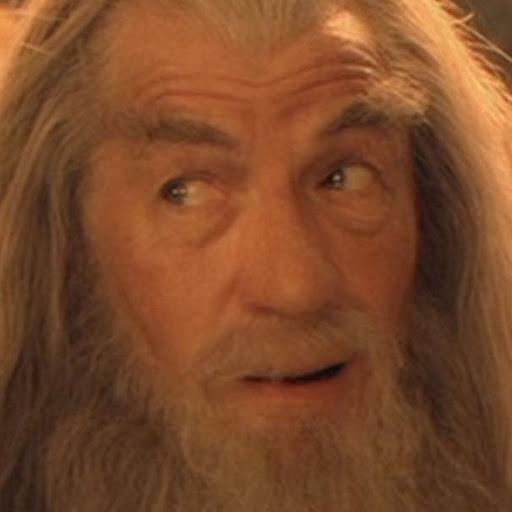 the CPU has IOMMU support. 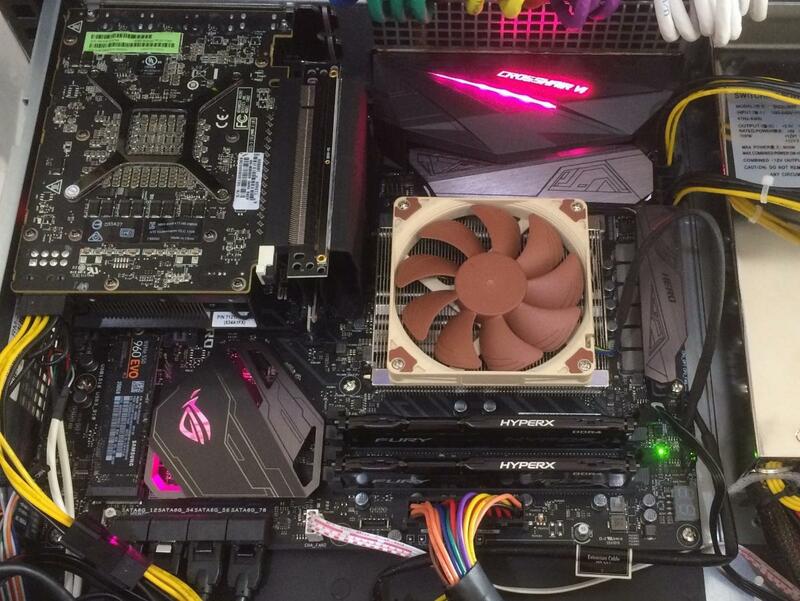 And so does the mother board according to misc web sites. I think it's missing some other feature in the CPUs architecture. Other than that, I can't really find any information about that it either. It is frustrating. Just as a safety, even if I only access the ESXi remotely using ESXi vSphere Client, I installed a "GIGABYTE Radeon HD 6450 Silent 1GB DDR3" and the I/O Passthru function as expected. My two ESXi systems support I/O Passthru while powered with different processor generations: AMD 1090T and AMD FX8350. Your FX8150/990FXA-UD3 should act the same. If that's the case, then it would definitely be a gfx card issue (at least for my issue). Thanks. Usage Profile: Backing up my two desktops, two HTPCs and three laptops, serving media (Movies, TV Shows, Music, Photos and home videos) to my three XBMC instances and serving as my Usenet and Torrent (SABnzbd and uTorrent) downloading station. Other information: Running DrivePool v2.0.0.260 BETA to provide folder pooling and duplication for a neutered WHS 2011. Pics to follow, I can't seem to find them at this time. @Dane: I'm jealous! 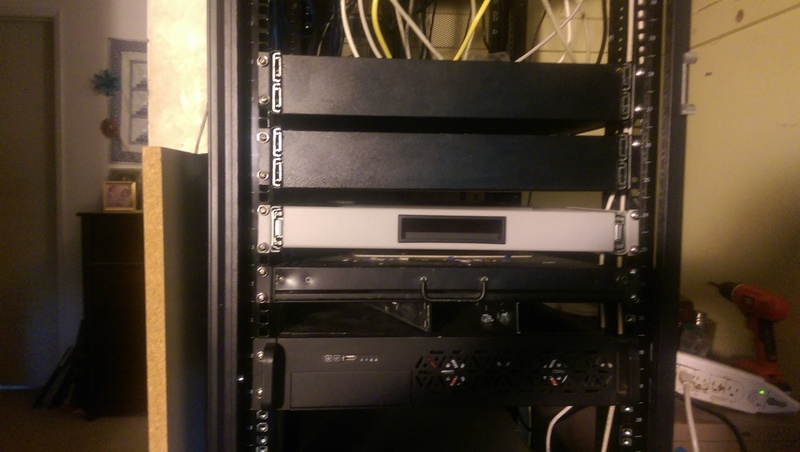 I really do need to get a rack for my hardware. And that looks very nice. Though, considering I don't really have a huge budget at the moment, I may end up getting some "ikea racks". Though, alex still needs to post his UPS battery hack. 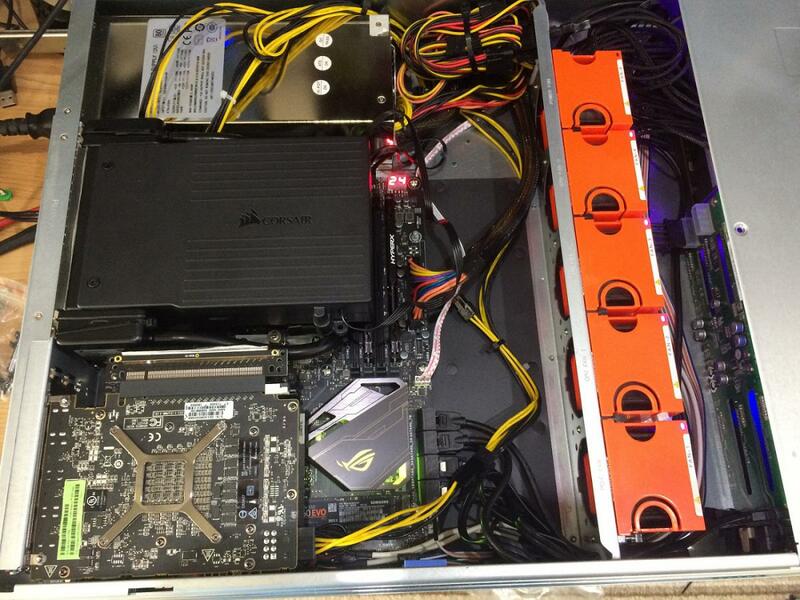 @DrParis: That's a very nice case for airflow, and a lot of HDD space. I have a couple of friends with the older versions of that case. @Lee1978: Very nice setup. That Chenbro expander looks very nice. As for attaching images, use the "More Reply Options". It gives a much more "full" editor, and is easier to attach images. @drashna: Thanks, and the rack I actually got off kijiji (classifieds site) for 100.00 from someone that just needed it gone for renovations. Had to saw the box to fit it in, but that's really a great thing those boxes. Very nice catch then. Because those can be very expensive! Okay, good. Just wanted to make sure. Sorry to hear that you had to take a saw to it to get it to fit. But yeah, those backplanes can be a very tight fit some times! 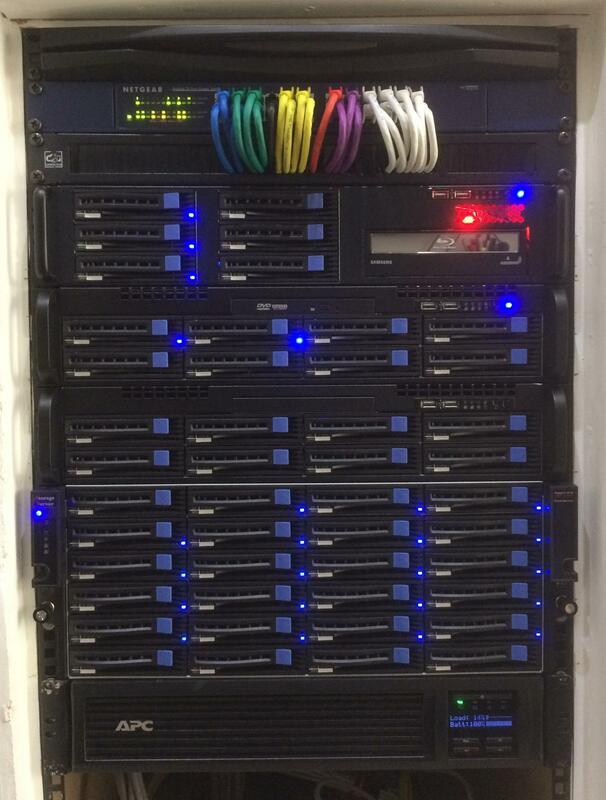 @otispresley: nice setup, looks similar to mine (at least in services). For the "fault management, MRTG, and Unified Communications", what software are you using? 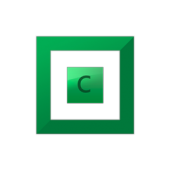 @drashna, for right now, I am using an evaluation copy of Cisco Prime Infrastructure for fault management of my Cisco router, switches, and AP, as well as a friends' gear across a VPN tunnel. I have used Nagios for this in the past though, since you can monitor just about anything with it. I just have MRTG installed so I can see the utilization of my router interfaces in a web page; it uses SNMP to gather the data. For Unified Communications, I am using Elastix because it is pretty easy as far as an all-in-one solution goes. It has a pretty nice admin interface, uses Asterisk for phone, OpenFire for IM and presence, uses Postfix for POP/IMAP email and Roundcube for webmail. There are also some add-ins that can be installed to extend functionality. I have one installed that provides web conferencing services. Awesome, thanks for taking the time to reply with all the information! And looks like an awesome setup. 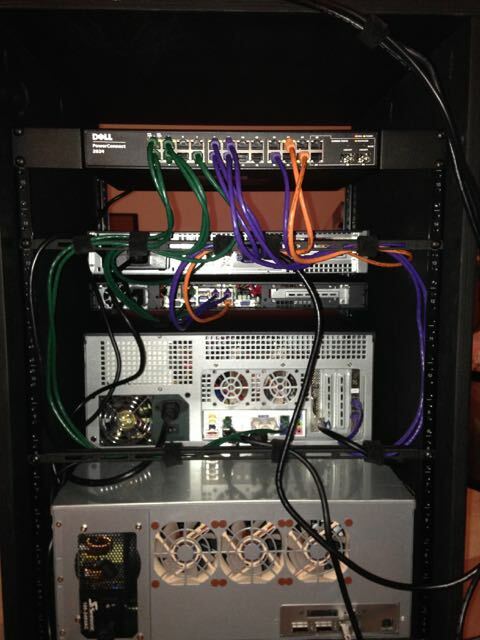 Here is my configuration along with a custom built rack.